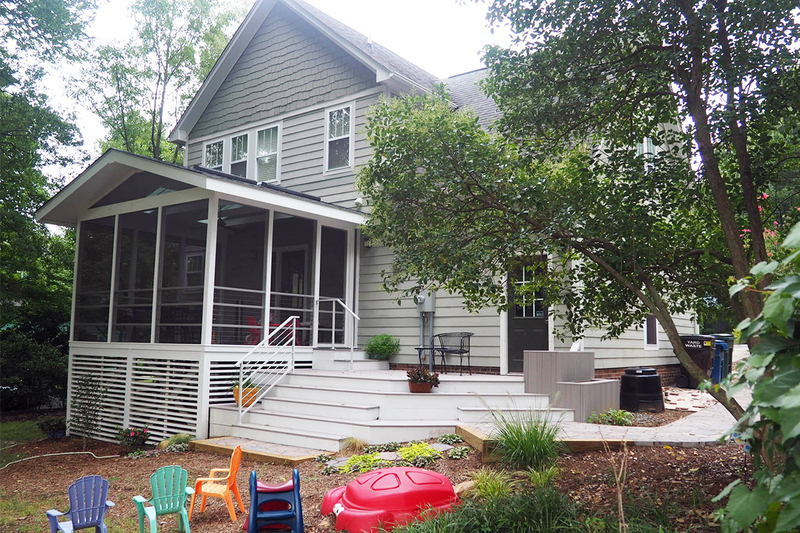 This young family desired to be outside but the mosquitoes prevented even having dinner on their elevated deck. 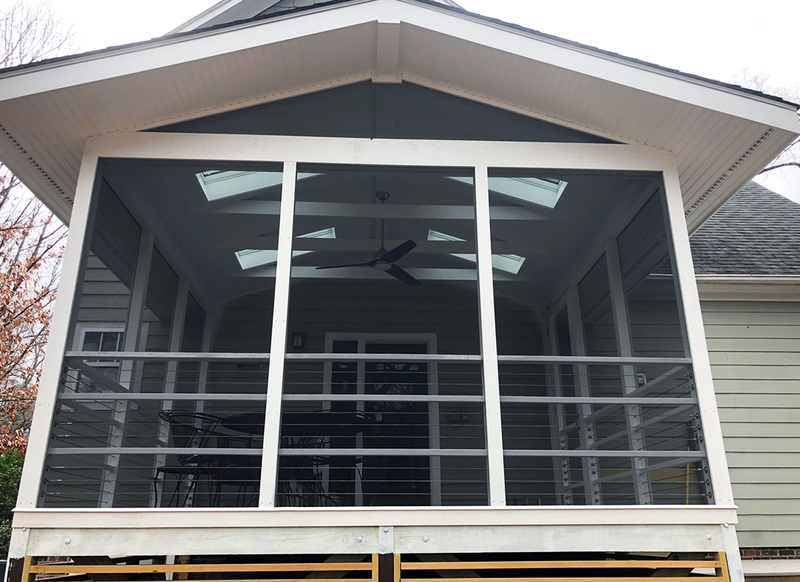 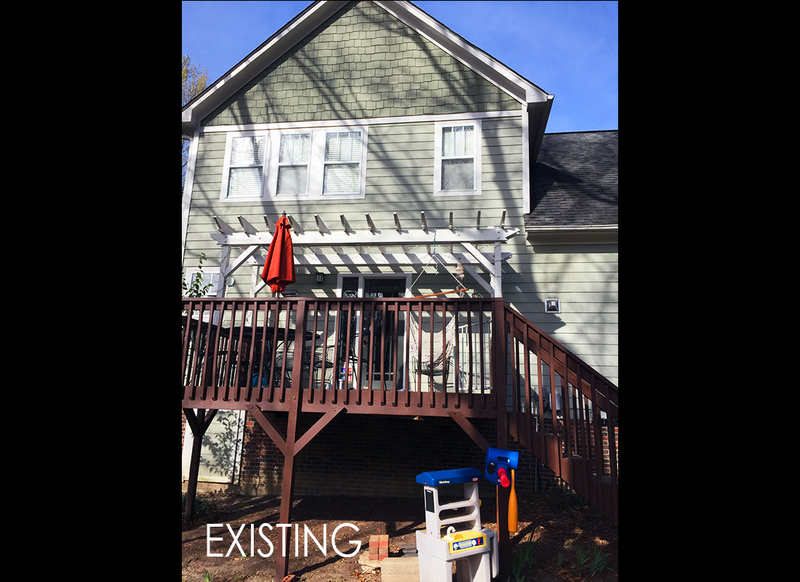 The solution was to create a screen porch in place of the deck and add a deck and play area connection to the yard. 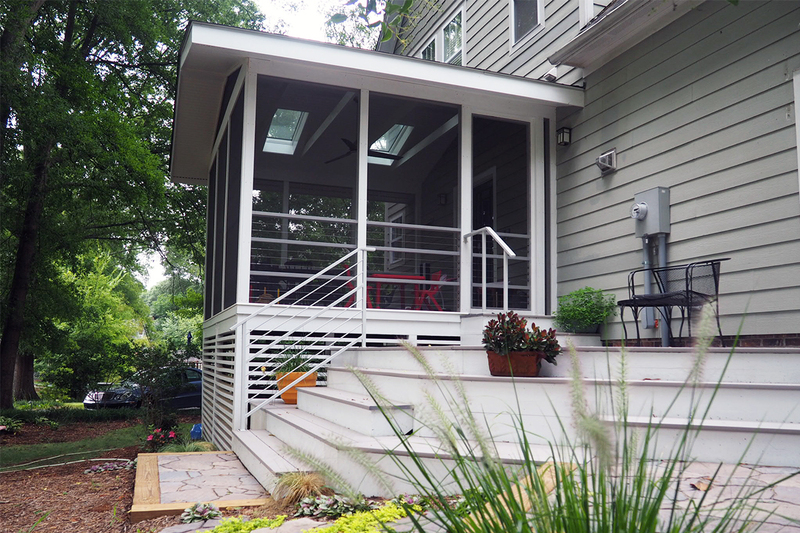 The owners desired a modern screen porch that respected the craftsman style of the house. 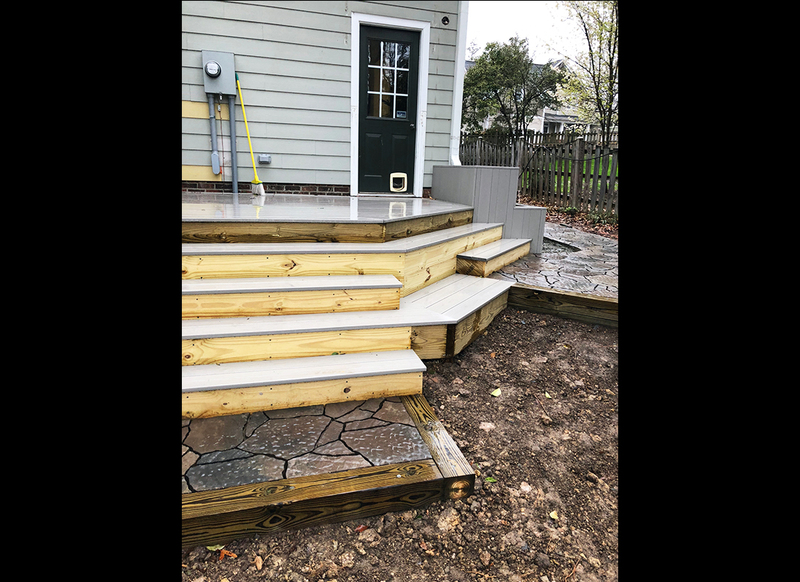 The connecting deck transitions the 4 feet elevation by way of steps, stadium seating and fun angles. 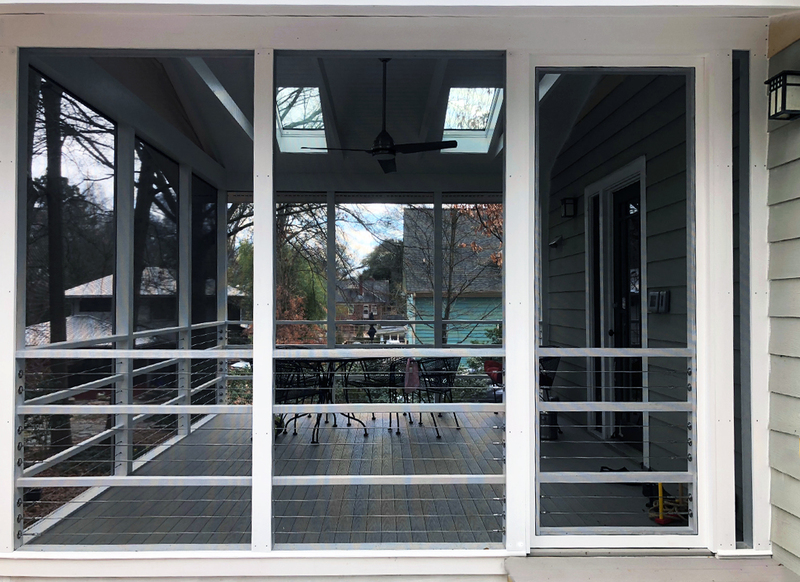 This unorthodox design for a deck provides places for additional seating in the yard and better and more open connections to the screen porch.